Allegra Boverman/Gloucester Daily Times. 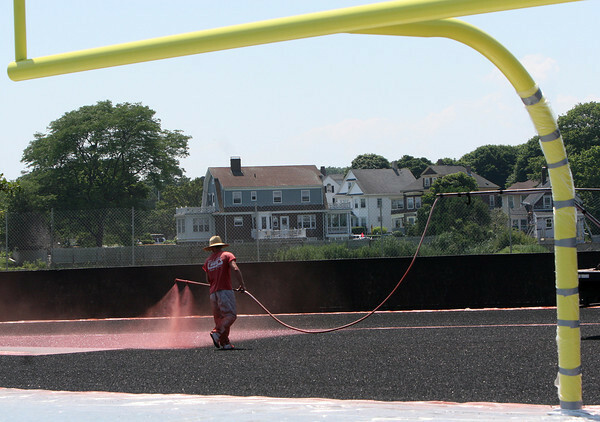 Gus Pierce of Cape & Island Tennis & Track sprays a layer of red colored glue onto the third of six rubber surfaces that are being laid down to comprise the new new track at Newell Stadium at Gloucester High School earlier this week. Six layers of recycled and diced rubber tires are laid down over layers of evenly sprayed red glue to make the track.